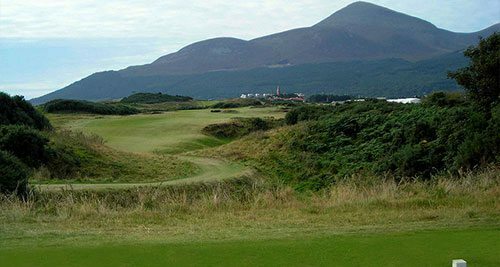 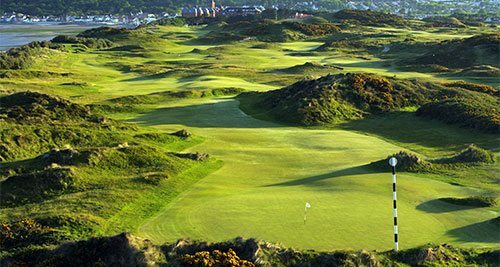 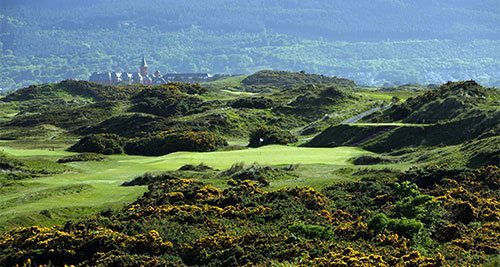 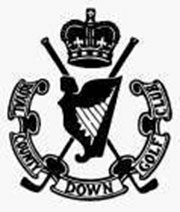 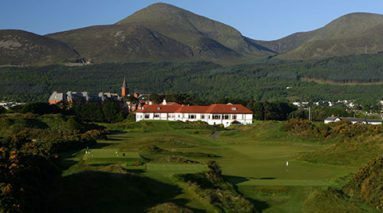 Voted No.1 golf course in the world by Golf Digest, Royal County Down Golf Club, founded in 1889, is located to the north of the seaside town of Newcastle on the east coast of Ireland. 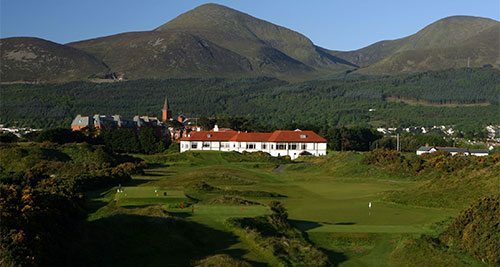 It is 30 miles south of Belfast and 90 miles north of Dublin. 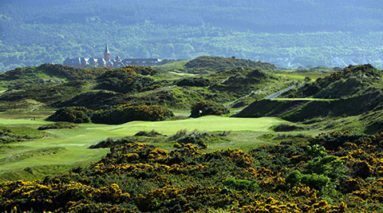 The club has 36-holes; the Championship Course measuring 7,037 yards Par 71 with a standard scratch of 75 from the blue tees and the somewhat shorter Annesley Links at 4,708 yards Par-66. 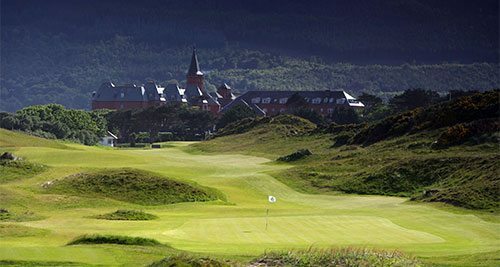 The Championship course is a links course that is renowned worldwide as one of the finest links tests in the world. Host to the Irish Open in 2015 won by Soren Kjeldsen, the first nine holes are ranked by many as the finest opening nine anywhere. The constantly undulating layout will challenge every part of your game with “tightish” fairways, many grassy-topped pot bunkers and tricky greens – every hole is a classic links test. 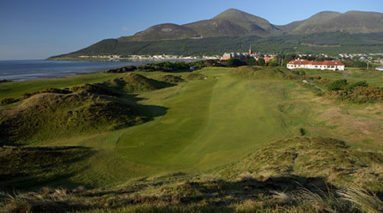 For any golfer overnighting in Newcastle, we would recommend staying at either the 4* Slieve Donard Hotel, located only a couple of hundred yards from Royal County Down or the 3* Burrendale Hotel, Country Club and Spa, only a further 4 minutes away. Royal County Down is situated overlooking Dundrum Bay, in the shadow of the Mourne Mountains. 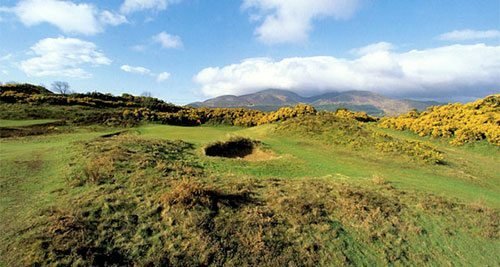 This dramatic setting was seen as the perfect location to film parts of the renowned series, Game of Thrones. 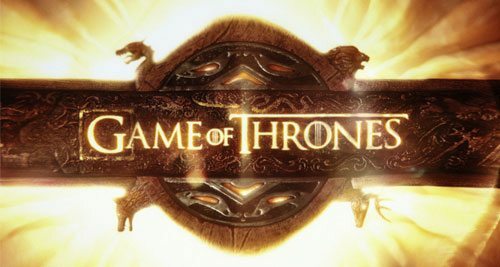 Following its success, a Game of Thrones Tour was set up to allow you to immerse yourself in the set by taking a tour of the sights used in filming. Experience the stunning visuals of the ancient landscapes used to create the medieval world in which the programme is based. 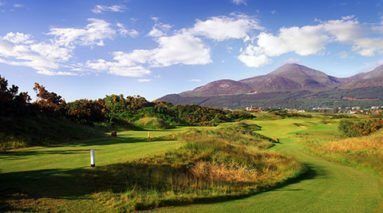 Notable attractions include Cushendun Caves, Carrick-a-Rede rope bridge, Ballintoy Harbour and many more sites that are a must see for fans of the show. 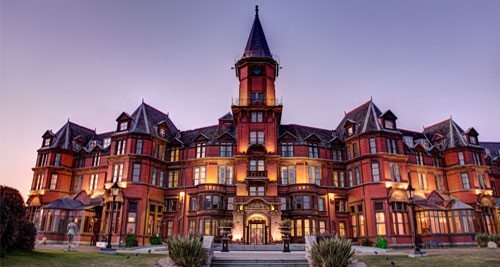 Belfast City is less than an hour from Newcastle where there is an abundance of things to do and see, such as the Titanic Experience, Belfast Port, the Botanic Gardens and the Waterfront Hall.